The Green Bee eater is a bird with personality. A busy bird, constantly flying and swooping in the pursuit of insects while taking breaks sunbathing in the warm morning sun. Their wing structure remind me of those flying dinosaurs, Pterodactyl from the Jurassic Park movie. They have a rich green color that makes them stand out as they perch on tree tops. They are cute swift creatures which seem to play with their prey after catching them. 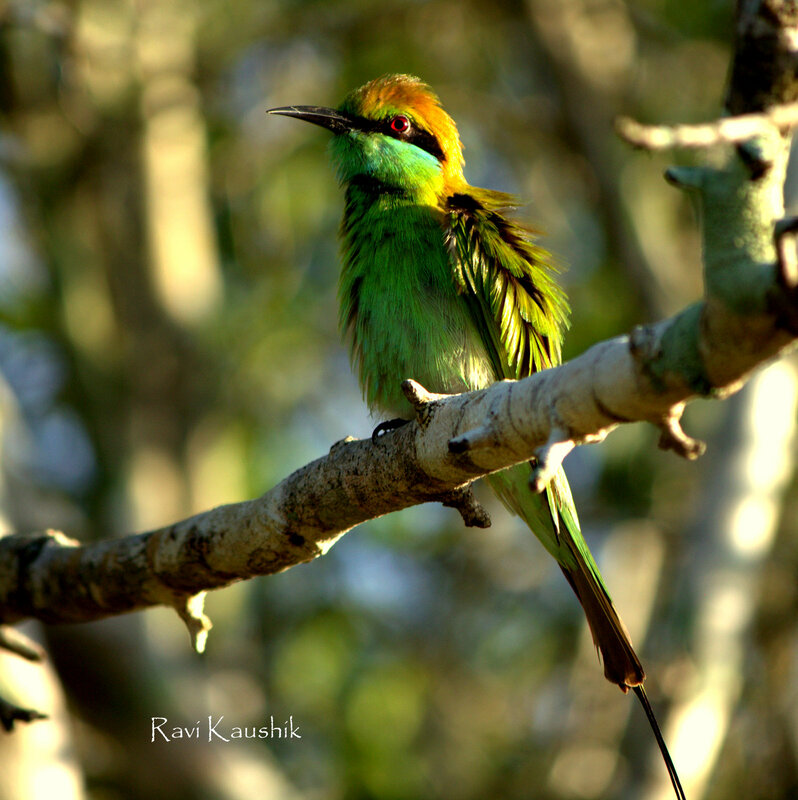 More about them here and see their elegant cousins – Blue Tailed Bee Eater here.